You’ve never played a hunting game like this before! 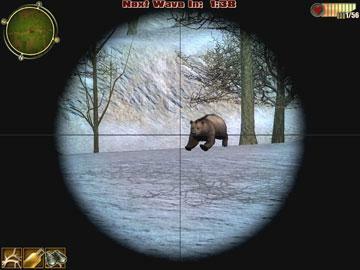 Hunting Unlimited 2011 is an all new game with state of the art graphics and animal animations so real you can almost hear them coming! Jump into the action with Hunting Unlimited™ 2011! Hunt your way across the 50 great states in two exciting challenge modes – breath in the fresh air! Trophy animals await - are you skilled enough to bag them? 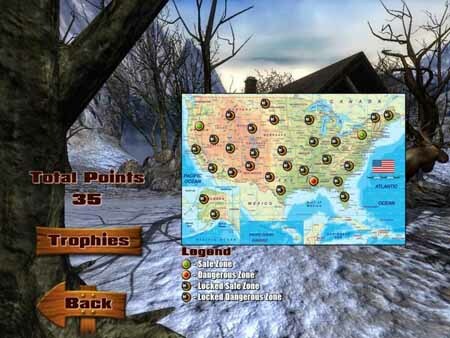 Track down 7 popular trophy animals, Whitetail Deer, Mule Deer, Moose, Big Horn Sheep and Wolf, Kodiak and Grizzly Bears. Watch out for bears – you may be their lunch! 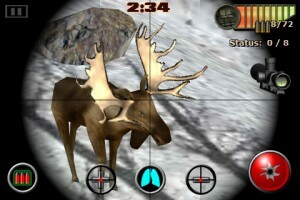 Go for the trophy kill in 2 new, expansive game modes – Stand and Stalking. Spot your prey quickly, then get into position for the most realistic, ultimate hunting action.